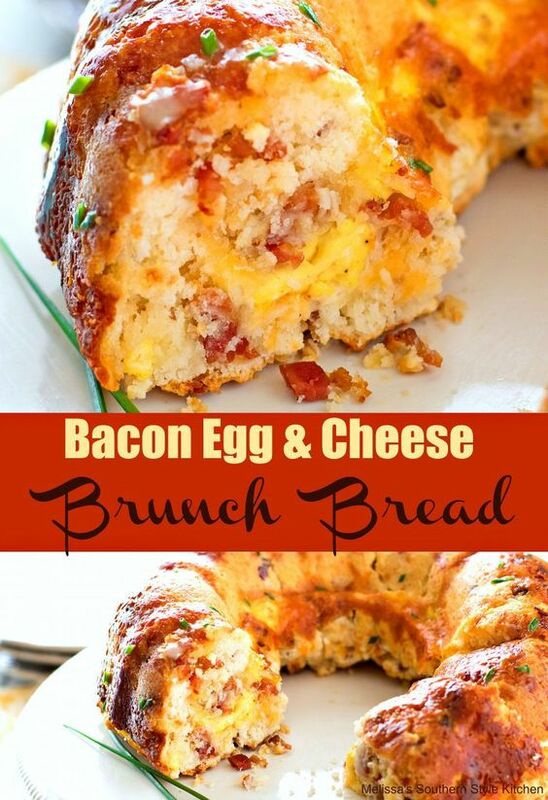 This Bundt Pan Bacon Egg and Cheese Brunch Bread has such a pretty presentation making it perfect for any special occasion breakfast or brunch. Homemade biscuit batter, crispy bacon, scrambled eggs and Borden® Cheese baked to golden perfection in a bundt pan shows the love in each and every slice. Preheat the oven to 425°F. Spray a standard size bundt pan with cooking spray. Set aside. In a medium-size mixing bowl whisk together the eggs, milk, salt and pepper. Scramble in a skillet over medium-high heat until firm. Set aside to cool. 0 Response to "Bundt Pan Bacon Egg and Cheese Brunch Bread"